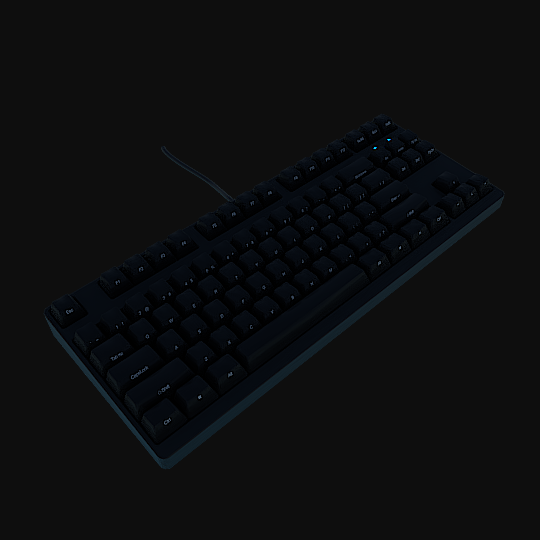 This is a free 3D model of the Filco Majestouch 2 Tenkeyless keyboard. Being a tenkeyless keyboard, it lacks a numpad. It is a fairly generic design but sports key decals affixed to the front face of each key, as opposed to on the top. It is a mechanical keyboard and has blue LEDs signifiying modifier activation. Another keyboard photograph is available on the thinkMoult blog. The colours have been calibrated with Macbethcal but the specularity and roughness values are guessed. This model was created by Dion Moult.